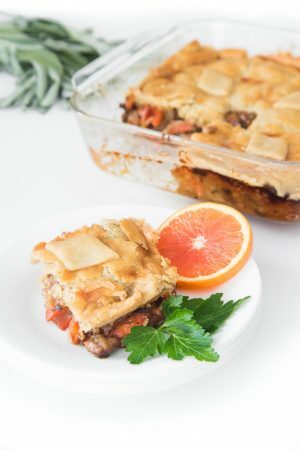 This Flaky Paleo Duck Pot pie is a flavor bomb twist on the traditional. You'll love this flaky gluten free pie pastry! Duck meat – it's such flavorful poultry! 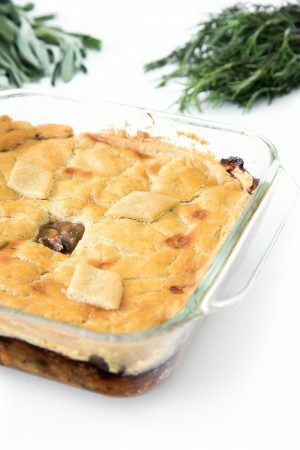 I've been thinking about making this duck pot pie for a while. 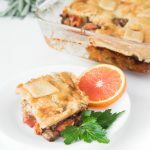 With this cassava and potato pastry, I was able to make it a Flaky Paleo Duck Pot Pie! 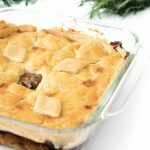 Chicken pot pie has nothing on this – and I looooooove chicken pot pie! Alright, there's something else I want to talk to you about. Extra virgin olive oil (EVOO). I'm sure you know that it's a twisted business and that the majority of EVOO available to us is garbage. In addition, they're either barely olive oil, stale, or of low quality. 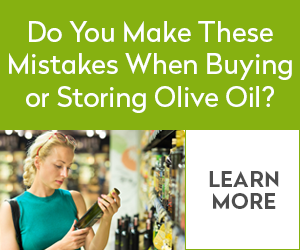 In the past, I thought I was doing myself a favor buying extra virgin olive oil in the grocery store. Eventually, I was introduced to good quality olive oil. The flavor alone is incredible, let alone the health benefits and the performance! OMG Have you ever scrambled eggs in a good olive oil with a little salt? It's so much better than what you'd think! 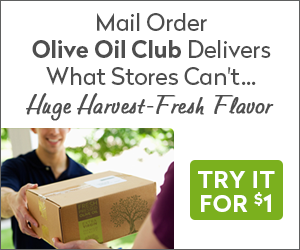 So when I was contacted with an offer to try some extra virgin olive oils for $1 from the Fresh-Pressed Olive Oil Club – I was like: HELL YEAH! I encourage you to check it out as well. If you like them after trying for a buck, they have reasonable prices for the quality EVOO that they provide. Back to the Flaky Paleo Duck Pot Pie. Firstly, I haven't had a lot of gluten free pastries that I liked. Secondly, I tried some cassava flour pastry and the texture was great, but it had a weird almost bitter aftertaste. To be honest, there have been very few cassava flour foods that I found totally worked. Maybe I need to look at some other bloggers' recipes again. It took a little work, but I finally found that using potato starch eliminated the weird aftertaste but still resulted in light flaky gluten free pie pastry. Be careful: it's a little delicate to handle, but with plastic wrap and parchment paper, it's not that bad. 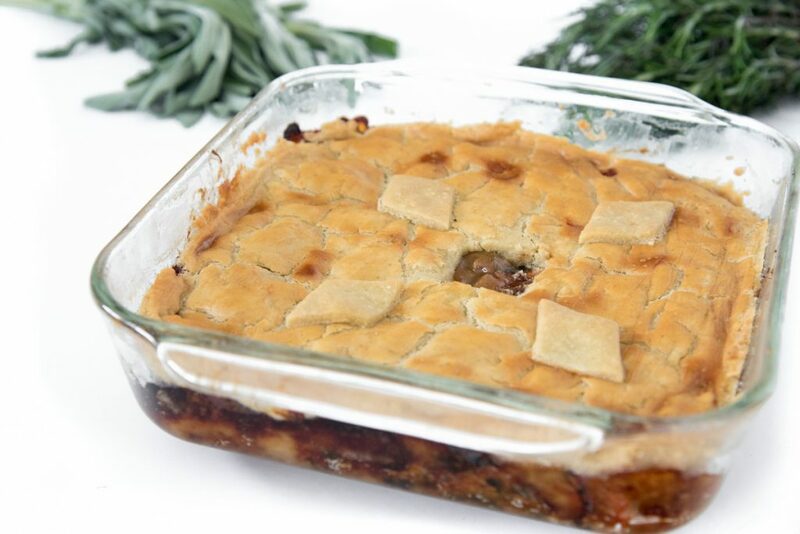 There you have it: a nice Flaky Paleo Duck Pot Pie. If you're not into duck, go ahead and use chicken. Salt and pepper both sides of duck breasts. In a cold cast iron pan, put skin-side down and bring heat up to med-high. Allow fat to render and skin to get crispy before flipping. Brown meat side, flip again, and transfer to the oven for 6-8 min. Remove duck from hot pan and allow to rest (as you would a steak). Combine all crust ingredients in a mixing bowl with a spoon, then use your hands. The dough ball will be slightly wetter and softer than wheat dough. Dust a sheet of parchment paper with potato starch. Center the dough, cover with plastic wrap, and roll into the size and shape to easily cover your baking dish (8″ square cake pan or 9″ pie pan). Refrigerate for about half an hour to firm up (this will make it easier to handle later). In a saucepan, bring orange juice, broth, rosemary, and sage to a boil. Allow to boil until rosemary and sage are fragrant. Fish out herbs and dispose of them. Whisk in cassava flour. Bring to a boil for 3 minutes to thicken. Sauté leeks, carrots, celery, and onion in a large skillet with a couple of tablespoons of duck fat for 10-12 minute until soft. Chop duck meat into small pieces. Pour vegetables and duck meat into 8″ square cake pan or 9″ pie pan. Add gravy mixture to pan and mix everything together. Add salt to taste. Pull crust from fridge. With plastic wrap-side down, peel off parchment paper. Gently flip crust on top of duck/vegetable mixture, and tuck any extra crust (or cut away) as needed. Cut a small hole from the center of the crust (to vent). Brush top with whisked egg. Bake for 30-40 min (until crust is golden). Remove from heat, allow to cool for 15-20 min (which will also allow the filling to thicken). Wow! This is so special! I love the orange – my mouth is just watering! Yeah, I wanted to use more of the duck-themed flavors which goes so well with orange. You could easily make a duck pot pie with the traditional chicken pot pie seasoning. Oh yum, this looks amazing! I’ve never had pot pie made with duck before, but now i need to. I hadn’t either when I first started thinking about this, but I actually did find a frozen pie in the grocery store a few weeks ago. I had to try it to see what they’d done with the convenience/SAD diet version. It sucked, not surprisingly. I have never cooked with duck! Sounds like a new challenge I would love to take on! Don’t be scared, check out the last minute of the video. It’s pretty exciting to cook to be totally honest – the sizzle, the smell, and watching as the fat renders and the skin gets crispy. And then that first taste! Oh man… you got me going…! 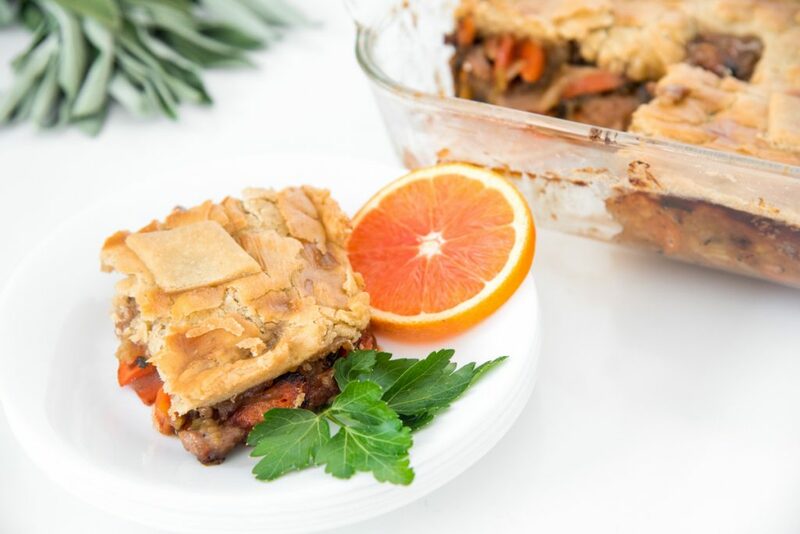 I loved how hearty this was – you would never know it was paleo that pastry was perfect! Hope, you made it? Awesome! I’m glad you liked it! THis is such a great idea! I also haven’t had the best luck with cassave flour so i’ll definitely have to try your trick of adding potato starch. Right? What has been your experience? Oh course, Raia! – but this is a great reason to actively hunt out a duck/duck breast. Love this pie and crust and thanks for sharing about olive oil. Very informative! The 3 bottles they sent us were great. One was mild, one medium, and one a bolder flavor. The newsletter that was included was very interesting and included a number of recipes that I tried which were paleo/real-food and packed with flavor. LOL, “too much”? That’s not a thing, Cassandra. I think it’s just right!